A four point win over neighbours Garrycastle (1-14 - 0-13 ), all but ensured Athlone of their Division 1 league status in what was an eagerly anticipated and closely fought contest in Pairc Chiaran. Trailing by two points at half time, the hosts emerged in more determined fashion post interval break and a John Connellan goal from the penalty spot was the impetus for Athlone to achieve this crucial victory. With one round of round robin league fixtures to play, Garrycastle appear to have secured a place in the ultimate fixture with either current county champions St. Lomans or Mullingar Shamrocks likely to provide the opposition. Under the guidance of former Westmeath all star John Keane and Gary Dolan, Garrycastle have enjoyed a positive start to their senior football season with the loss to Athlone being their sole defeat this league campaign. 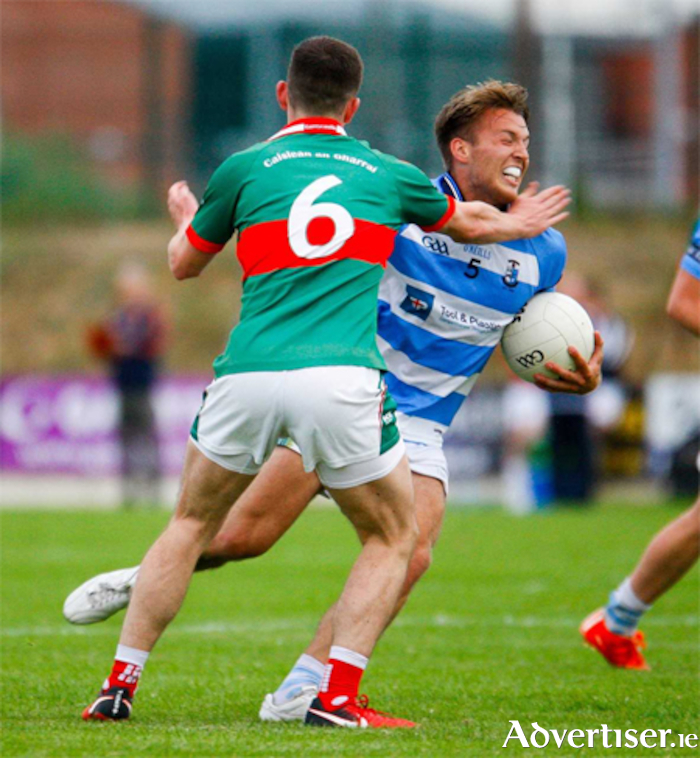 On current form they can look forward to the imminent senior football championship with the knockout stages a firm possibility. Rosemount were on course to secure a league final spot, but a two point defeat to Milltownpass put paid to their league final aspirations. The Westmeath senior football championship is due to throw in in July with reigning champions St. Lomans seeking to annex their fourth title in a row.